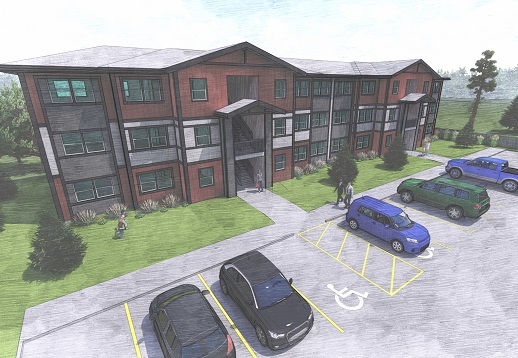 BEND, OR -- Oregon Housing and Community Services is awarding nearly $35 million to fund 466 new affordable housing units through the Local Innovation and Fast Track (LIFT) housing program. Nearly $7 million of that is coming to Central Oregon. Housing Works Executive Director David Brandt says the money will pay for 90 new units in Redmond and Madras, "We try to do about 100 units a year because that's the demand; it's pretty crazy in Central Oregon for affordable housing. So, one of them is 23 units in Madras - called Canyon West (pictured: right) - and it's 60% of Area Median Income (AMI) or lower; actually a lot of them are extremely low income, 30% AMI and lower. And then, 67 units in Redmond, near Reindeer." Those 90 units in Redmond and Madras are the latest Housing Works projects to be funded by the state's LIFT program. Brandt says it also helped pay for 90 units in La Pine and Sisters that are ready to open this week. He tells KBND News, "42 units in the city of La Pine, and then 48 units of apartments in the city of Sisters. All of them affordable to folks making 60% of the Area Median Income or less." He adds, "We're excited. We're trying to meet the demand. It's kind of awesome how much demand there is for these units, and so we build them as fast as we can get them built." 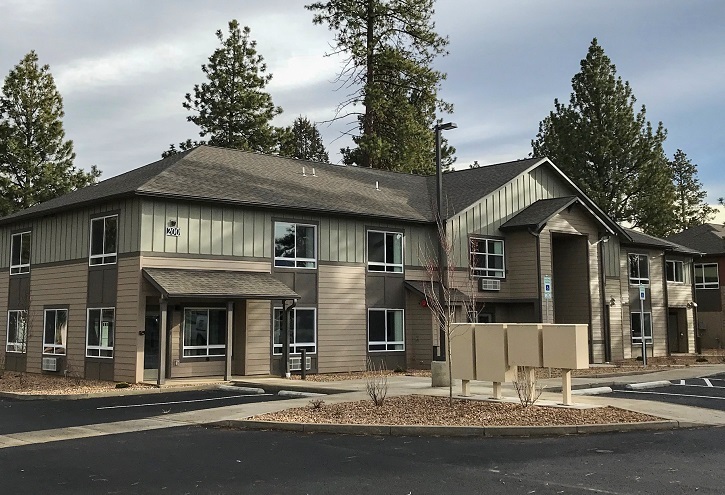 On Friday, Housing Works will host grand opening celebrations for Ponderosa Heights in Sisters (pictured: top), at 10 a.m., and La Pine's Hawks View Estates, at 2 p.m. Governor Kate Brown says the LIFT program is a critical tool to help solve the housing crisis. She' asking Legislators to increase funding by $130 million over the next two years.